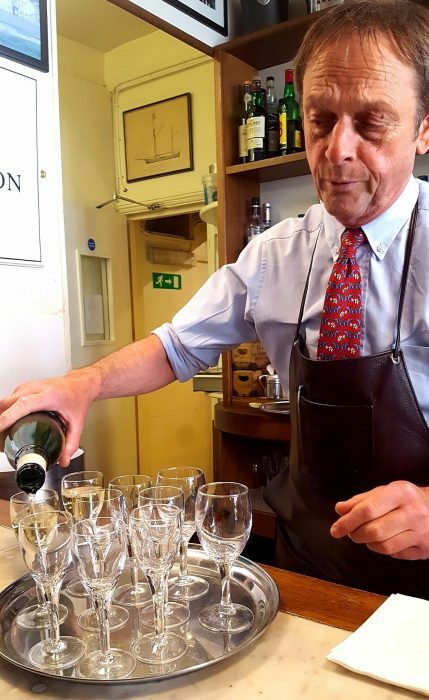 When I’m not crushed by the weight of Tasty Comms (um.. in a good way), I love a good food tour – my side business is actually exactly that (Tasty Tours), where we run tours of various parts of London for chefs and other F&B bods, and general corporate groups too. 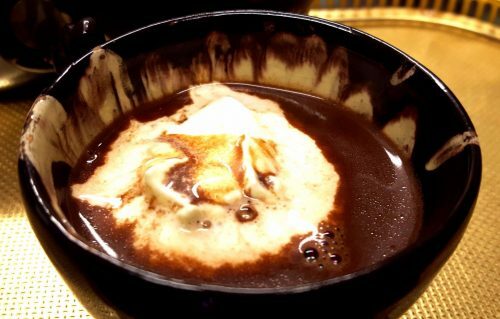 So it follows that I should go on as many other food tours as possible, not to steal ideas as such – the premise is generally the same across the board – but to learn about new cities and stay on top of developments in the market. 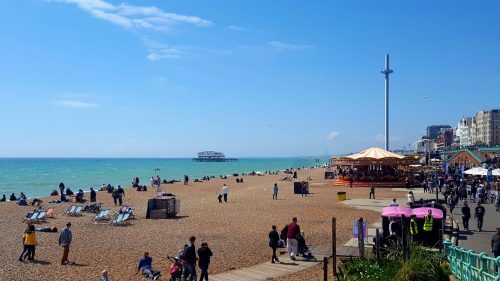 So last weekend we headed to Brighton to check out the VIB, or the Very Independent Brighton food tour, run by the effervescent Paul of Brighton Food Tours. 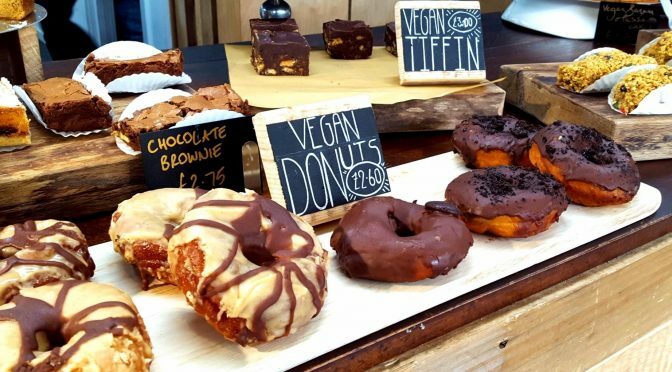 The focus is on those food and drink entrepreneurs who have set up on their own, independent businesses with quality produce and a hippy, healthy ethos. Good times. 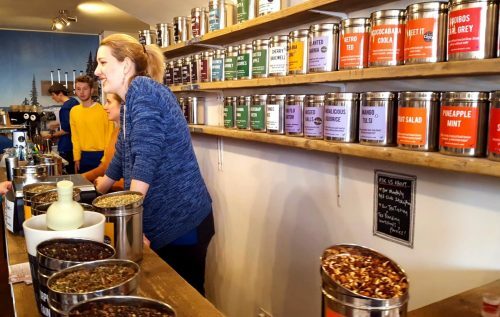 We kicked off at the Bluebird Tea Co, where we learned about tea mixology, tried various blends and spent £35 on some matcha and a whisk! They saw us coming it seems. But it was fascinating to hear that they’ve smashed their recent fundraising target of £160,000 by raking in £364,000 in a couple of days – tea is big business. The blueberry matcha is lovely by the way, and I actually hate tea. The Brighton Sausage Co was up next, where I cleaned them out of fennel and pork, and lamb and garlic. They make 45 varieties so this was actually pretty restrained. Except with the raclette cheese, on which I spent more than was seemly, and tore off hunks of it with my teeth on the train home. Smorl’s gave us some fabulously garlicky hummous and other levantine delights, all of which they create in-house. 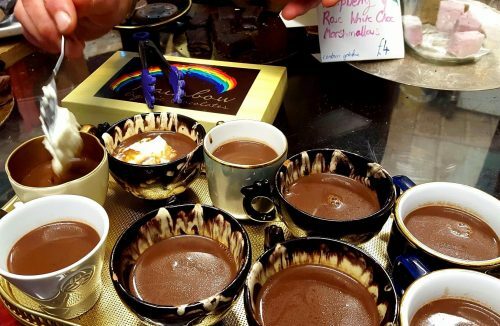 Rainbow Organic Chocolate is a chaotic haven of handmade chocs, and a little cup of hot chocolate that was pretty much sauce – delicious. 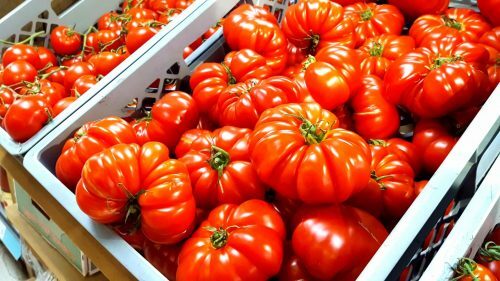 Hisbe’s supermarket is packed to the rafters with delicious healthy, fresh, decent quality food, with rafts of vegan options and huge shelves heaving with nut butters and granola. Holland and Barrett meets Waitrose I’d call it. All very lovely, and the message board asking what they can do better was hilarious. Cue requests for things my heathen, gin-soaked, carnivore self has never heard of, never mind missed in a supermarket. 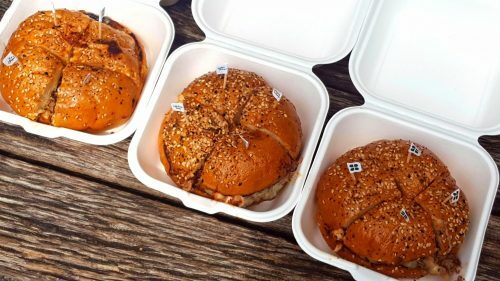 Burger Brothers was a highlight for me, juicy patties in challah style buns (no brioche, hurrah!) with monterey Jack and a gorgeous relish. So purist are the Burger Brothers that there are no fries on offer, you get these down the road at a specialist fries venue. A collab waiting to happen, clearly. 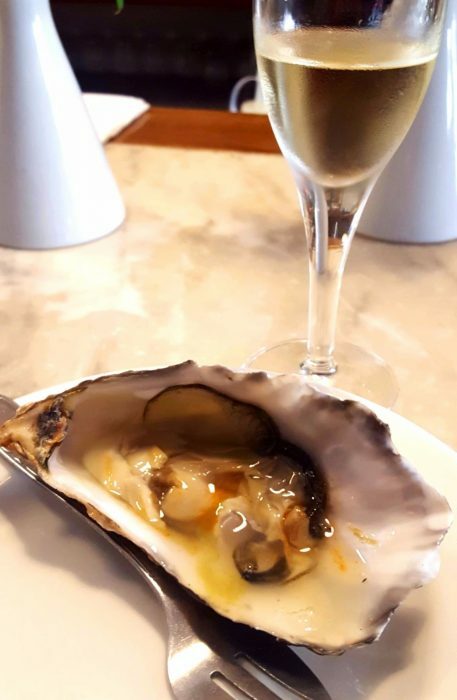 I was hoping that a Brighton food tour would include some seafood, and my favourite stop of the day was English’s of Brighton, where we had some lovely fresh rock oysters washed down with a glass of Picpoul de Pinet – perfect. They are so knowledgeable and passionate, will be back there soon I hope. 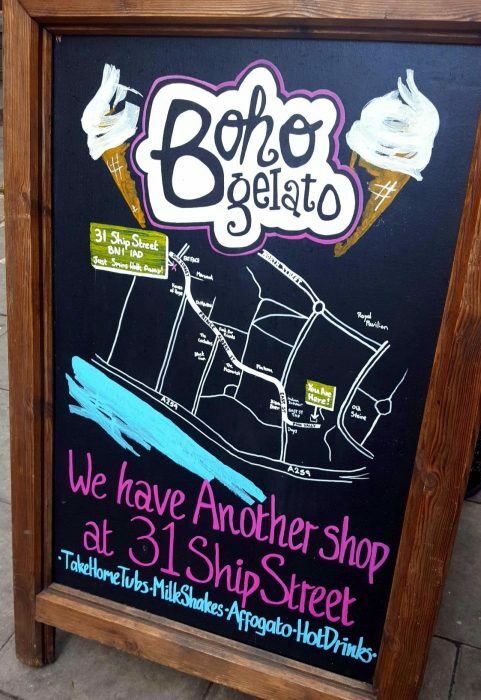 Rounding off the afternoon was Boho Gelato – the perfect sweet treat to finish on. We tried a few different flavours, the highlight for me being carrot cake. You could really taste the raisin flavour and the spice of cinnamon and nutmeg, was delicious. 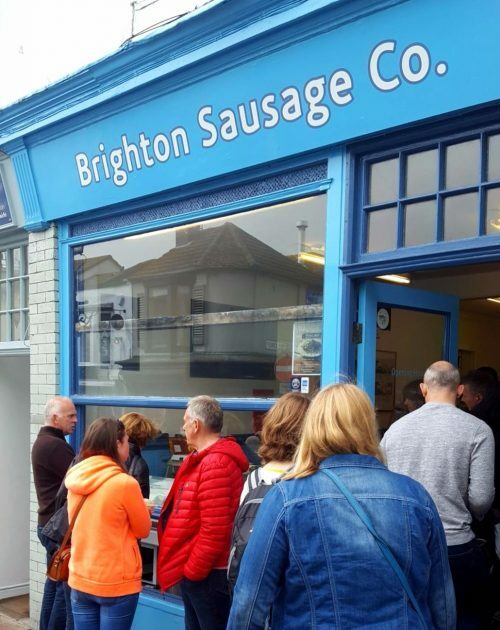 I’d highly recommend a Brighton Food Tour if you’re looking for something a bit different, or live in Brighton and have people coming to stay. It’s a great overview of the town, Paul was funny and entertaining, and the finishing point by the beach means you’re then perfectly placed to sit around drinking for the rest of the day. 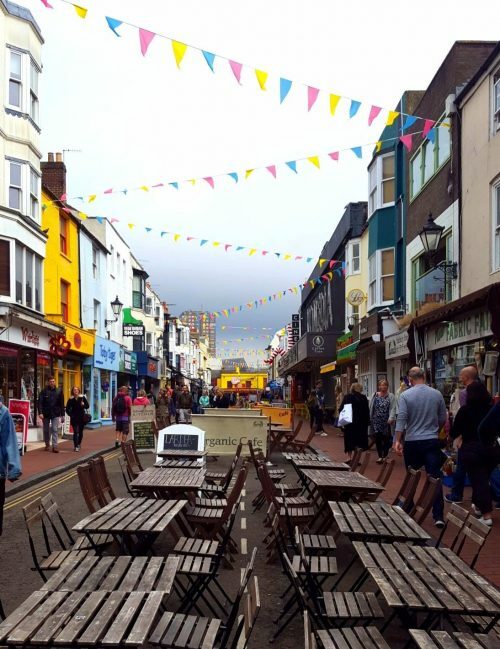 Have a look at Brighton Food Tours for more info.